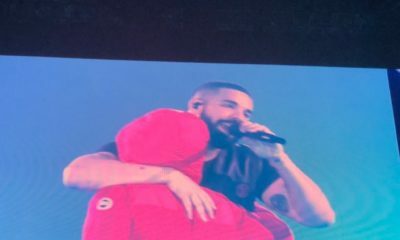 Yesterday morning, rapper Pusha-T replied Drake‘s Duppy Freestyle diss with a track titled The Story of Adidon. 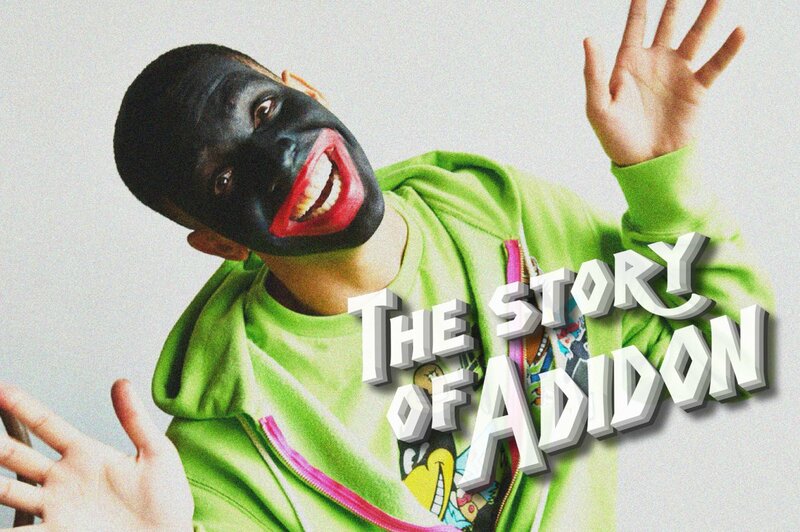 The artwork for Pusha’s own track was an old photo of Drake with his face painted black to depict him as a white boy desperately trying to be black. I know everyone is enjoying the circus but I want to clarify the image in question. This was not from a clothing brand shoot or my music career. This picture is from 2007, a time in my life where I was an actor and I was working on a project that was about young black actors struggling to get roles, being stereotyped and type cast. The photos represented how African Americans were once wrongfully portrayed in entertainment. 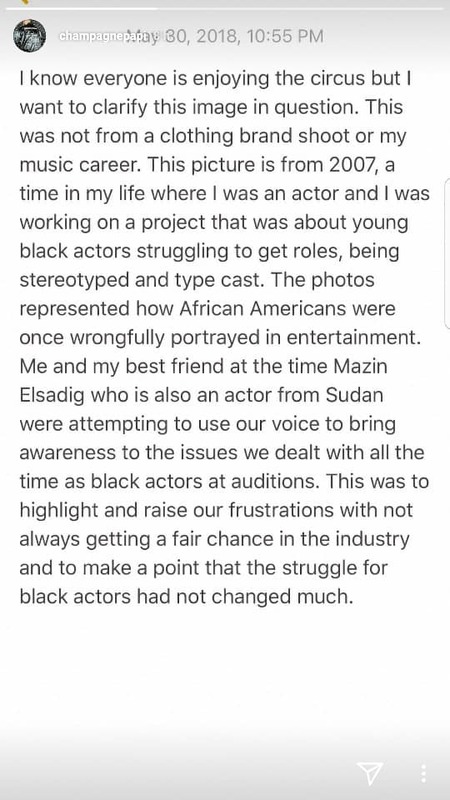 Me and my best friend at the time Mazin Elsadig who is also an actor from Sudan were attempting to use our voice to bring awareness to the issues we dealt with all the time as black actors at auditions. This was to highlight and raise our frustrations with not always getting a fair chance in the industry and to make a point that the struggle for black actors had not changed much.